I’ve been in your shoes. I used to be an agent, too. You want a team member who understands your clients’ needs — and your needs. First, I hope you get one or two of our newsletters and spend some time reading through them. I think you’ll find that our choice of articles and how we write them is different from what most other insurance newsletter publishers offer. We try to convey insurance and risk management information to your clients in clear, simple language. But in a way that respects their intelligence and provides them information they can really use to improve their business and their lives. That means picking relevant topics, providing how to tips and the kind of advice you would give clients yourself. And staying on message. So you won’t find recipes, travel tips and quaint sayings in our newsletters. Those have their place, but not necessarily in a newsletter that projects your professionalism. That’s my opinion anyway. And it’s something our customers seem to agree with. Think of Smarts as the Cigna of custom insurance newsletter publishing. We haven’t been around since 1792 like Cigna (back in the day it was called Insurance Company of North America), but we are the insurance newsletter pioneers. We were founded in San Francisco in 1954 by Art Smart, a former Maine legislator and newspaper reporter. 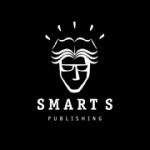 After working for several years as an insurance agent and marketing executive, I took the Smarts newsletters over from one of Art’s successors in the early 90s. Since then Smarts has published well over ten thousand different insurance newsletter editions for insurance agents and brokers throughout the U.S.
As I said, we write the Smarts newsletters to help your clients always think of you as the expert and best source for products and information that will improve their lives and businesses. And of course, we publish Smarts newsletters with your branding and as customized as you want. We want to make them really your newsletters as much as possible. All newsletters are available in digital and print formats. Whatever suits your needs. Want to talk marketing strategy? I’ve been a marketer all my life. I’m always happy to answer your questions or talk to you. Send me an email (jwhitaker@smartspromarketing.com) or give me a call (866-762-7879 ext. 2). If you’re the kind of agent who values long term relationships and wants to build a business based on superior service, you should probably be sending your clients Smarts newsletters. I hope to hear from you soon. If you want to make sure you’re getting in front of your contacts, PRINT is clearly your best format choice. No doubt about it. The open rate is virtually 100%. That’s on average 5X better than email, where an excellent open rate is 20-30%. Mailboxes are much less cluttered these days, so print really stands out. And it has durability. People keep them to read later. Plus, you can hand them out, put them in presentations and display them at trade shows and in your waiting room. Subscriber Cindy Koebele and her clients like to take their PRINT newsletter home and read it with a cup of coffee on a leisurely Saturday morning. Subscriber Hazel Bright says her clients always thank her for sending them PRINT newsletters when she sees them at renewal time. Subscriber Larry France actually paid an independent researcher to survey his customers about what they like best about the service they get from France & Associates. The research revealed, they like the agency’s PRINT newsletter best of all! Readers have the option to click calls to action and links to your website. You can get analytics on who reads your newsletter and which articles they open. You can link your newsletter to your Facebook and Twitter accounts. Many of our customers send PRINT newsletters to contacts they absolutely want to be sure will see them regularly and to contacts they know won’t open email newsletters. To the rest of their list they send email. If you order at least 100 PRINT newsletters, you get the EMAIL version of your newsletter FREE. Our newsletter content can also be streamed to your WEBSITE, providing a great way to automatically update content on a regular basis and engage visitors. View a sample of our insurance newsletters in our STREAMING WEBSITE format. Every subscriber can get a FREE word file of their newsletter. Conveniently copy and paste any article from your newsletter to Facebook or any other social site. Or use your articles for target marketing or any other purpose. For a small additional monthly charge, you can also get unlimited access to our Content Warehouse of 100s of articles from back issues of ALL our newsletters. All our newsletters — print and digital — are tailored to your agency, with your logo, photos, webs links and other customized features. Subscribe to one or rotate between several different ones. Free insurance newsletter samples available. Not everyone has employer-provided benefits. Life & Health Insurance Advisor helps guide your clients and prospects through the sometimes bewildering array of individual life, health and retirement products available today. Published quarterly and sponsored by the National Association of Health Underwriters.